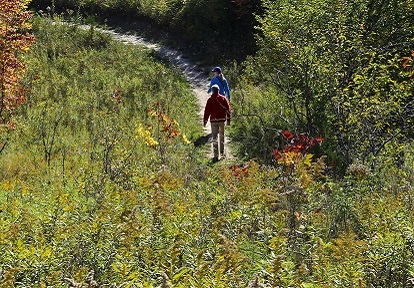 Go hiking through the natural woodland trails of our parks — each one offering unique and exciting adventures. Catch a glimpse of natural wildlife, admire the beautiful flora and fauna and take in the beauty of the changing seasons. If you are new to hiking, consider yourself an avid hiker, or perhaps you have never been hiking; we invite you to take our Trail User Survey (link below). The information collected will help us create improved trail experiences for all users. 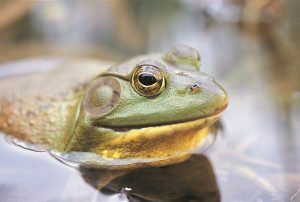 Whether it’s an afternoon nature walk or something a little more challenging, TRCA parks have what you’re looking for. Experience the rolling hills of Caledon and the beautiful Humber River at Albion Hills Conservation Park. 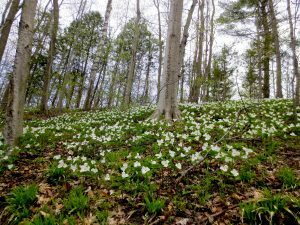 Discover the crossroads of the Niagara Escarpment and the Oak Ridges Moraine at Glen Haffy Conservation Park. 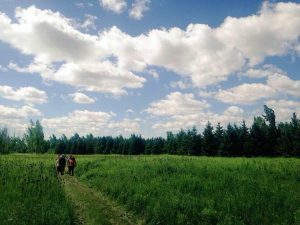 Stroll the boardwalk through the marsh at Kortright Centre for Conservation, or take in the spectacular view of the bluffs at Petticoat Creek Conservation Park. And that’s just the beginning!